A little defense never hurt, and when the zombies arise, your first priority should be defense and survival. This Curved Defensive Machete takes personal safety into account, and all but embodies the age old notions of best offense and good defense. The machete features textured black blade that is crafted from stainless steel, while also featuring a unique and subtle forward slant that gives this traditional blade a bit more cutting power. The normal blade-shape provides immense utility, serving as an effective edge for chopping, slicing, and thrusting, opening several modes of attack for the skilled survivor. The machetes handle features a stylized D-guard on the hilt as well, which serves to keep the wielders hand safe, while also adding a bar to use when punching zombies that get too close to bring the blade to bear. 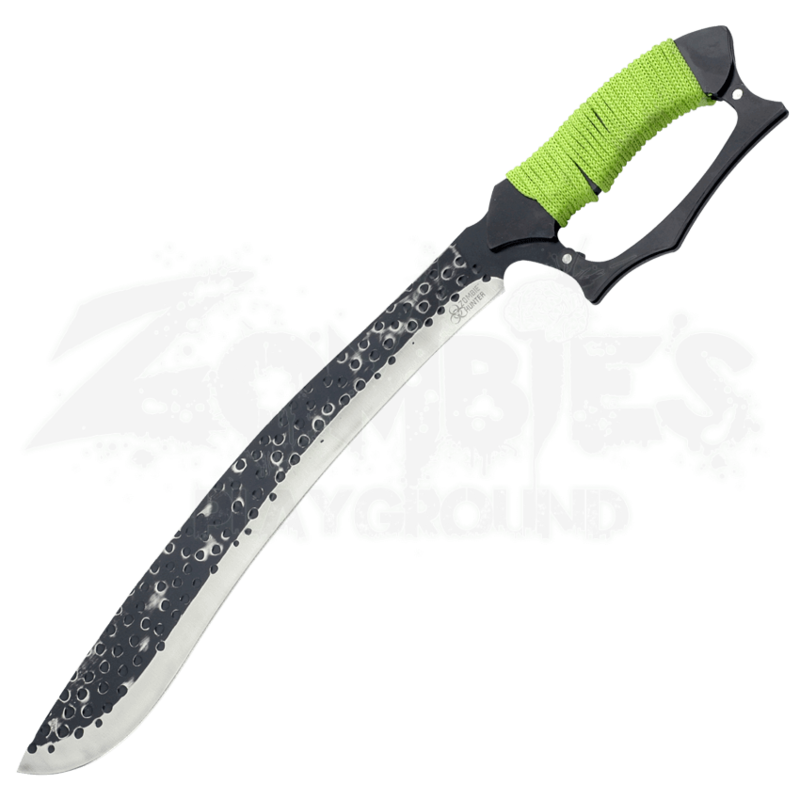 Wrapped around the hilt is green wrapping, which enhances the grip of the machete while also adding a vibrant splash of color that is sure to catch the eye of fellow survivors. Included with the machete is a black nylon sheath that makes storing and carrying the machete convenient and easy. It has been said that the best offense is a good defense, or, inversely, that the best defense is a good offense. 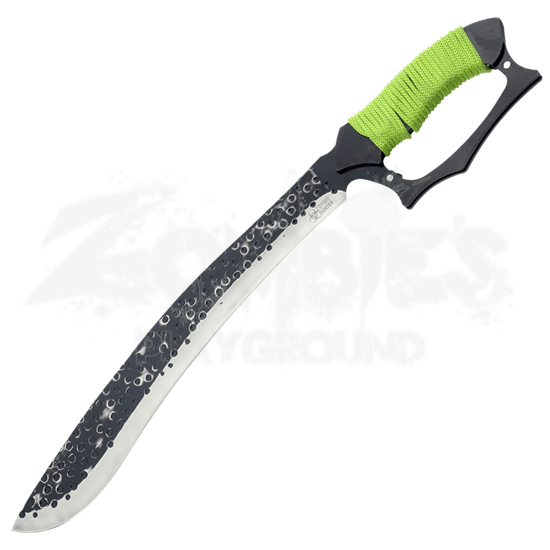 We vote that its best to have both, in equal measure, and that is what makes this Curved Defensive Machete such a stellar choice when it comes to depriving zombies of their next meal.